Before coming to Penn, the concept of ‘coffee chats’ was completely foreign to me. 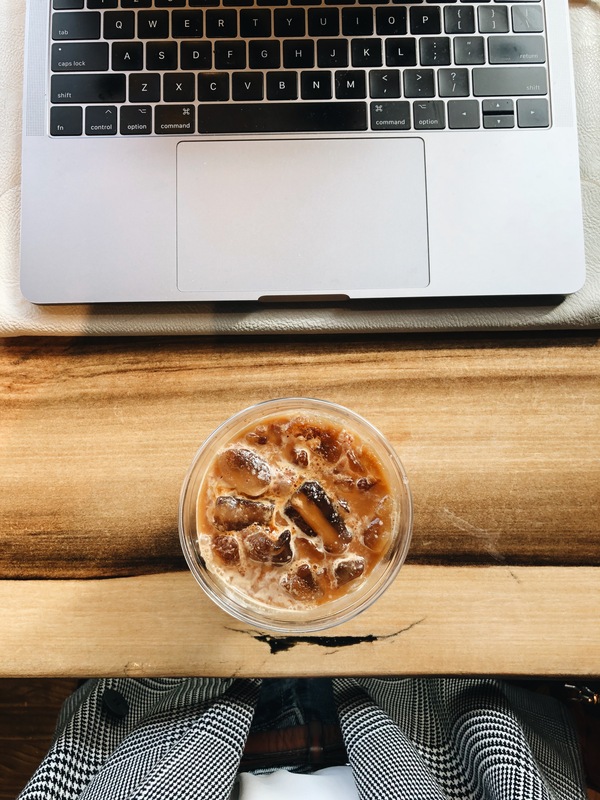 Over the long weeks leading up to my first fall semester, coffee shops had become my sanctuary – I spent afternoons there seeking refuge from the summer heat, eternally ordering lattes and finally reading for fun. Chatting, however, was not a part of my coffee shop routine – I simply put in my earphones and tuned out, entering my own little bubble of ‘self’. I became fascinated with the idea of the ‘coffee chat’ after I heard the term thrown around left and right by students here. I understand that the term can be polarizing: for some, the ‘coffee chat’ is undeniably imbedded in the everyday lexicon of clubs, conjuring up the thought of interviews and images of blazers and button down shirts. Yet, I find the term to be the exact opposite – though still associated with club life, it is a break from all the formalities. While I didn’t necessarily look forward to serious club interviews, it was the opposite effect for the coffee chat – to me, they are whole-heartedly casual, confidently open, and unapologetically candid. As someone with a paralyzing fear (and equal ineptitude) for small-talk, it was certainly a challenge going for my first coffee chat, and even more of a surprise when I ended up loving it. If, reader, you are like me and find the first few minutes of conversation painstakingly awkward – I offer no other remedy than to simply get through it. However, if you do make it through the awkward lapses in conversation and the stiffness from smiling a little too wide (and too much, for that matter), the reward is more than worth it. These coffee chats have offered a chance for me to step outside my little bubble and peek into the life of another. It was getting the chance to ask someone about their day, and hear more than just ‘okay’ – as simple as this sounds, it really is equal parts strange and wonderful when you get more than just a one word answer. It offered a break in the topics of discussion – there comes a point when sometimes, I’m just too saturated with talk about the next midterm, summer internships and grades. I, too, am guilty of trending towards these same topics of discussion – when your life really is consumed by the impending doom of that next paper, sometimes that is the only thing on your mind, and the only thing you feel like ranting about. However, when you get the chance to meet someone new through these coffee chats, I am realizing how little I accomplish by falling into this routine. Soundbytes about my life come out, but cease to mean anything beyond the surface. I’m reaching out for reliability, but too often I’m entangling myself in the world of the generic – I am no closer to knowing the person I am facing, just like the only thing they know about me is that I have a paper due tomorrow. From cooking with insects to personal writing blogs, the ideas and stories that I’ve had the pleasure of listening to during these coffee chats have drawn me out of the monotony of the mundane. I won’t lie and say that I’ve become instant best friends with those who were most likely strangers to me before our first coffee chat, but I can say that I feel a much stronger sense of closeness with these people. While I know a school of this size means it is impossible to know every face – let alone be friends with thousands of students – the sheer vastness of Penn shouldn’t stop us from taking the time to really get to know each other. In all its unassuming form, I still believe it is nothing short of a small act of bravery to venture beyond our normal routine. It is certainly true that the more we give, the more we receive. So, reader, I thought of starting my own little series of coffee chats. Though real coffee I can not offer, stories I can. From books and articles that I’m currently reading, to restaurants and recipes that I’m loving, this is what I would share with you if we did actually have the chance to sit down and simply chat. It won’t just be me sharing my own stories – ‘Coffee Chats’ will also be featuring other members of Penn Appetit’s board, our amazing committee members, and all around Cool People™ around Penn: here we go. (1) The window seat at United by Blue: although seemingly avoided until there are absolutely no seats left, the bar stools at United by Blue have become my new favorite work spot. I have to admit, the space is not the most functional – the chairs are awkwardly placed, leaving little room to move about — which forces you to be productive I guess? 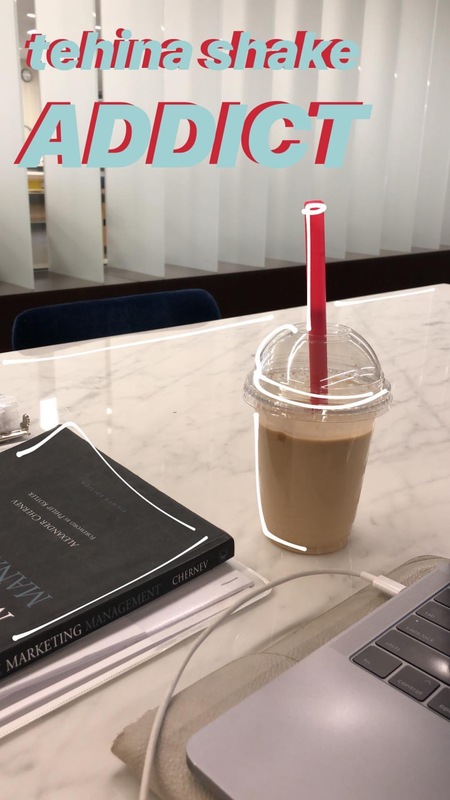 Huge windows for optimal lighting (and #basic coffee pics – sorry not sorry), long counter space for spreading out piles and piles of readings, and solid coffee. (2) Two words: TEHINA. SHAKE. Although the prices at the new Franklin Table are a little hard on the wallet, the tehina shake gets me every single time. Available at the Goldie’s stall, the Turkish Coffee tehina shake is the perfect afternoon treat. The (arguably) best part of the shake is the mysterious cookie crumble they sprinkle on the top. If they happen to be out, stand your ground at the counter and refuse to leave until they come back from the kitchen with a fresh batch – you will not regret. Riepe Cookie Night – not all heroes wear a cape, and my hero is Dr. Deturck. Every Wednesday night, Dr. Deturck bakes trays and TRAYS of cookies for Riepe’s hungry residents to enjoy. Without leaving the Quad, I can walk down to McIlhenny 102 in my pajamas and snack on a cookie (or three). Thank you, Dr. D!